"Pro/Cons in using Keap. " After using Infusionsoft which is now Keap for over 12 years, I'd have to say the campaign builder. The automation process is relatively simple to use as in the steps. There are many MANY ways to funnel a marketing or sales campaign and since today's world has access to everything online, there must be a way to constantly find ways to integrate or making it easy to connect. the sales side of it is ok. I wish it was better. It seems that it's mostly used for Marketing purposes. There are sales components but for the price, it should really be better at it and be able to provide an easy method for creating something simple like a custom invoice. Make sure you need something this powerful before making a huge investment into this product. If you're looking for just email campaigns then I wouldn't recommend it but if you're looking to have this be your place for all marketing/sales, then try it out. It does take time to build but like a house, the better you build it, the stronger it will be. Problems I've solved have been creating a fast campaign that I need to go out. Having the campaigns built, templates, custom emails done; makes it easy to select, create and publish a campaign. So in other words, if you take the time to build your armory, it'll be easy to get things out. 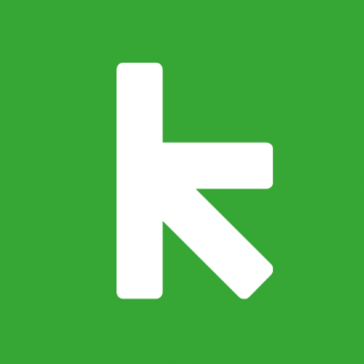 "Infusionsoft by Keap GREAT software for any business that works with clients"
defiently make sure to learn how to use all its features for the best experience, it has so many tools and cool things for clients and users! Literally zero customer service over the phone! No one to talk to aside from email communication which then takes them 2-3 business days to resolve issues with payments/withdrawals. "Very easy to use and learn and great training videos"
I really like how there is always something being added or new. I enjoy the ease of being able to chat with representative who can easily troubleshoot any issues I have. Some things aren't as easy to use or intuitive and could be updated to have a more modern ease to it. It's something you should really try out if you work for a small business or manage a lot of contacts. Keeping our customers all together and marketing to them! "Glitches, Conflicting Messages, and Terrible Support"
Several times I have created landing pages for conferences only to have them not work after printed materials are made - The claims are escalated and unresolved. I have stopped using landing pages. They send email about problems, then send a retraction email, then retract the retraction. Webforms are limited - no progressive form ability - it is difficult to ascertain traffic sources, the information is there but requires many clicks and it is not possible to set up a simple dashboard to monitor information. Client acquisition, nurturing, and communication. Tags are really useful to differentiate and automate. There are a lot of cache issue involved with email automation. * We monitor all Keap reviews to prevent fraudulent reviews and keep review quality high. We do not post reviews by company employees or direct competitors. Validated reviews require the user to submit a screenshot of the product containing their user ID, in order to verify a user is an actual user of the product. Hi there! Are you looking to implement a solution like Keap?